As I type this we are bracing for a full-on-blow-your-socks-off winter storm! I'm actually kind of excited!! We had a very dry winter last year, so this year has been awesome! The Salt Lake Valley is regularly in the top 3 cities in the entire US of A for bad quality air during the winter months. Not so much this year! We have had several small storms that have kept the air inversion under control. The storm tomorrow is especially welcome because I will be home all day, and I won't have to drive in it at ALL if I don't want to. YIPPPEEEE!!! I may go for a peaceful walk (I love walking in fresh snow!). I most DEFINITELY will spend some time stamping!! 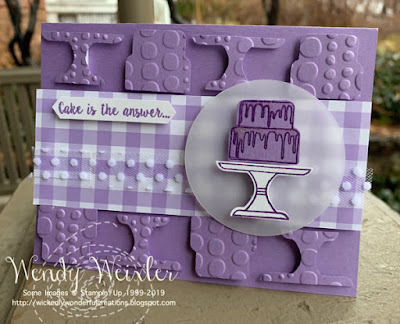 Speaking of stamping ... here's the card I made for this week's Fab Friday Stampin' Challenge. I probably went a little overboard with my interpretation (in other words ... I kinda over did it! ), but it's always fun to have something to look at as a starting point, right?? I added a little more to this sketch than is actually here ... hope you can get some fun inspiration from it as well! I'm looking forward to a weekend of not having much to do. I'm not quite sure I have had a weekend like this in MANY months!! It's going to be GLORIOUS!! 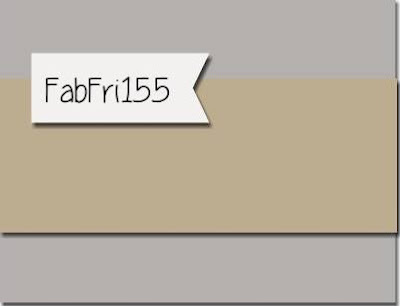 Sale-a-Brate EVERY Occasion ... with the Freaks! Ringin' in the New Year!